Students from the five Greene County school districts had the opportunity to visit with 70 different colleges, universities, and branches of the military at the Greene County College Fair on Thursday, November 15. The county-wide college fair offered West Greene students in grades 10-12 the opportunity to focus on post-secondary education planning. 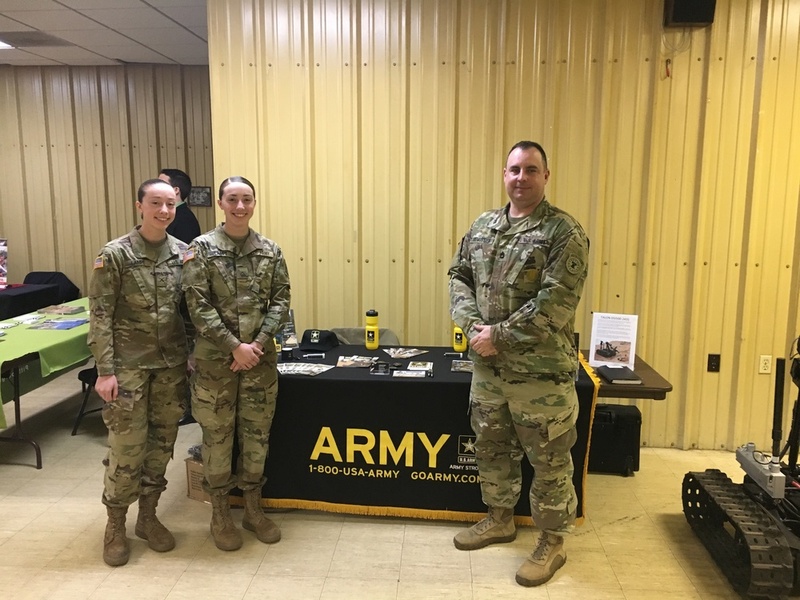 Pictured are West Greene seniors and active US Army Reservists Madison Lampe (left) and McKenna Lampe (right) assisting SFC Rasmussen in recruitment efforts at the college fair.